If it is a competitive physical challenge you are looking for, bungee runs are perfect. Each contestant has their own lane, who can run the furthest before being pulled back by the bungee is the winner. 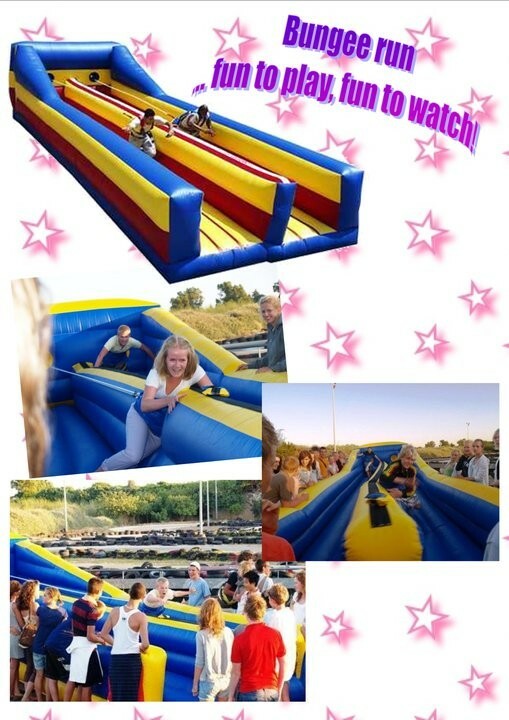 Our inflatable bungee run is an impressive 35ft long and has a real wow factor when seen.